The commercial maritime industry is ever evolving: bigger cruise ships, new tanker designs, larger containerships, and new propulsion systems. However, one thing remains unchanged; it is the backbone of a global transport system that moves millions of tons of cargo and hundreds of thousands of passengers every day – and its growing. As the industry keeps pace with growth in world trade, it will face ever more stringent regulations on wastewater quality as governing bodies around the world mobilize to protect the environment. With more than 10 years of direct industry experience, Ecosphere Technologies, Inc. is a proven provider of cost effective, chemical-free water and wastewater treatment technologies to a broad base of commercial marine operations. Our patented Ozonix® technology is being leveraged across the globe to solve some of the world’s most significant wastewater management challenges. From water pretreatment to bacteria and biofilm control, from ballast wastewater to onboard grey water, Ecosphere is helping marine operators reduce operational costs, increase shipboard productivity, and protect the environment, while eliminating the dependency on toxic chemicals. Municipal aquariums and zoos must be vigilant to protect the health of the various species of aquatic life housed in their facilities. Water disinfection is central to this effort as well as in maintaining water clarity for paying customers. Unfortunately, chemical-based disinfectants can irritate marine life. Ecosphere’s Ozonix® Technology offers aquarium operators a proven, chemical-free alternative for high-volume water treatment and recycling that represents no impact to wildlife. 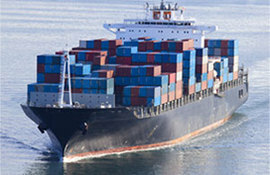 Commercial cruise lines, tankers, and cargo vessels make use of a large amount of ballast water, and discharge contains all manner of bacteria and organisms. Ballast water is currently believed to be the primary source of non-native species in U.S. waters, the long-term costs of which can be staggering. Standards and regulations are understandably tight. Commercial maritime operations can meet and exceed ballast water treatment management standards, while reducing operational costs, with Ecosphere’s patented Ozonix® Technology. Responsible discharge of process wastewater and effective management of biofouling are two critical components of effective water management in the marine industry. Biofouling can wreak havoc on commercial marine operations, crippling systems and increasing fuel consumption, while more stringent regulations on wastewater discharge have the industry looking for greener solutions. Ecosphere’s patented Ozonix® Technology is a chemical-free alternative to costly and toxic chemical biocides for combatting biofouling and one of the most proven, green technologies for treating industrial wastewater. As grey water contains far lower levels of contaminants than blackwater, it is much more suitable for treatment, recycling and reuse onboard commercial marine vessels. Effective grey water recycling will reduce overall demand for new clean water, reducing operational costs. With a wastewater recycling solution such as Ecosphere’s patented Ozonix® water treatment technology, further cost savings can be realized through chemical savings and adherence to environmental regulations. Become a licensed technology provider to the marine industry. Treat and recycle water used in a variety of industries including but not limited to ballast wastewater treatment, marine process wastewater, on-board grey water and large aquariums.